A beautiful gate at your home entrance leaves a great impression but of course only if you keep it well-maintained. Our gate repair services in Corona Del Mar help you with any kind of repair services for gates of any make and model. We also offer gate installation and maintenance services to ensure it functions well and stays for years to come. Because of the high end quality services that we provide to our customers, our gate repair services is the first that comes in the mind of the people looking for gate repair and installation at Corona Del Mar. From regular maintenance check-ups to emergency gate repair services, our highly trained, efficient and courteous staff is here to assist you any time. At Corona Del Mar we offer round the clock service so you can call us any time of the day or night. Our staff will be there to attend to your gate repair woes at your earliest possible convenience. We offer same day service and have a response time of 45 minutes so you just need not worry when you have our number on speed dial. We have a 24-point maintenance checklist that covers every aspect of gate repair. Due to the minutest intricacy in gate opener systems, only qualified service professionals should perform the job. With over 15 years of experience at the task of repairing, installing and servicing all kinds of gates so we are the experts in this field. There are the services we offer to our clients, but not limited to. We also offer customized gate installation services to our clients. Also, with proper maintenance checks and tune-ups, you can avoid the damage incurred to the gate in long run. Our 24-point maintenance check includes all parts servicing and ensuring the gate and its components are functioning smoothly and in sync to each other. For any damaged or defective parts, we can have them replaced before they create any further issues. We are familiar with different brands of gates like Ramset, DKS, All-O-Matic, Eagle, Apollo, GTO, BFT, FAAC, Challenger Allstar, Elite and Eagle, and others. Therefore, for any help in installation or servicing of these gates, we are happy to assist you. What Do Our Gate Repair Services in Corona Del Mar Have to Offer? Our in-house experts shall attend to your requirements at any time, whether it is an early morning or late night. So, if there is an emergency at your home, where you see your automatic gate or a roll-up gate being stuck all of a sudden, do not hesitate to give us a call. Our staff will reach within an hour at your premises, inspect the issue at hand, repair it and try to fix it right there. We deal with different kinds and various brands of gates; therefore, you can be sure that no gate is beyond our skill level. If you are planning to get a new gate installed, you can take assistance of our trained professionals, as they will guide you to find the best gate suitable for your home in terms of durability, safety, sturdiness, as well as the one that enhances your home’s beauty too. Our technicians shall also help you in the installation of the new gate and answer all your queries with a smile. Our service truck is always equipped with all the necessary tools and utilities needed on the job. So whenever you may contact us, our technicians have the equipment handy to assist you with any kind of gate repair services. Our gate repair services in Corona Del Mar are not limited to residential places only, but also extend to commercial buildings. So all you have to do is contact us and we will provide you with repair services that will ensure that the entire gate system is functioning as it should. 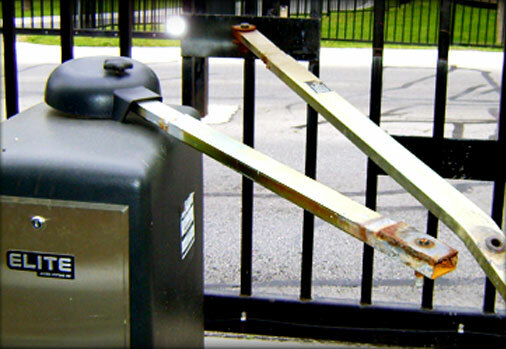 Call us at (949) 438-7012 for emergency gate repair services and more.